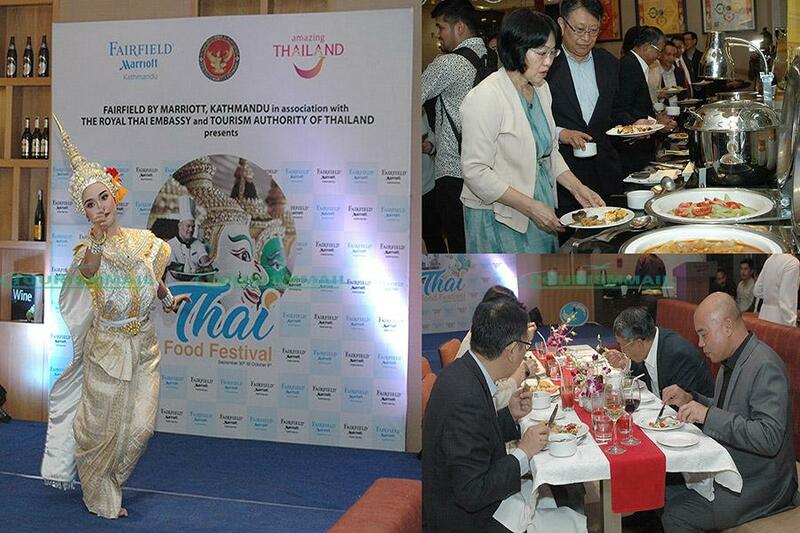 Kathmandu,Oct 01:, Fairfield by Marriott Kathmandu in association Royal Thai Embassy and Tourism Authority of Thailand had successfully organized opening ceremony of Thai Food Festival on 30th September. This festival will be conducted till 9th October, at hotel premises. This food festival is the promotion of the Thai cuisine and gourmet dining experience. Thai specialty Chef Kroongtana Nimnu exclusive from Thailand joined this event. Varieties of foods cooked in Thai style like rice, pasta, sea foods, soup, meat and sweets was there in the festival.